A group of children with the donations. 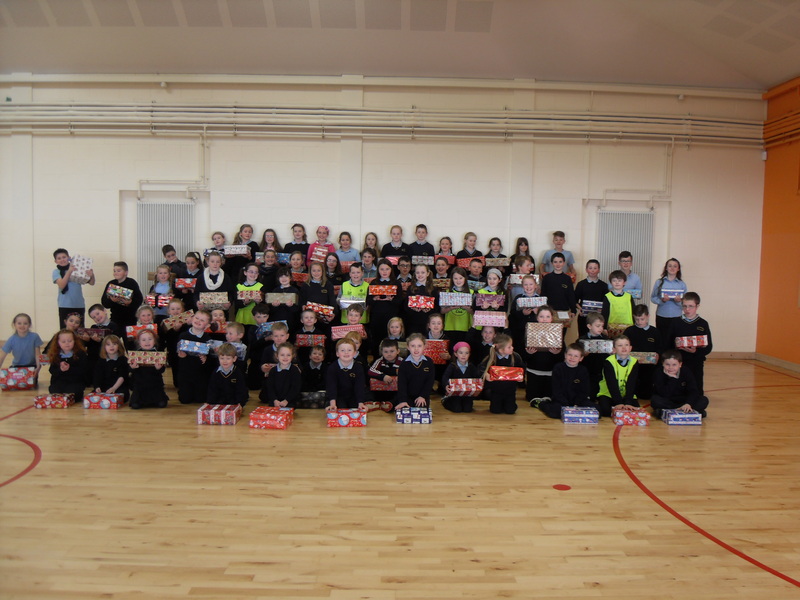 The pupils with the shoe boxes donated to the Shoe Box Appeal.A huge thank you to everybody who participated in this year’s shoe box appeal. Ninety shoe boxes were donated and have been forwarded to the depot in Carlow.